aving a time to read some notable documents: The spy who loved us – Thomas Bass, and The perfect spy – Larry Berman. At first, I’d thought: oh, all these stories I’ve knew quite well already, there’s no need to read more. But then I considered it’s good to be reflective, reading the same stories in another language, from other points of view. I’d read these two books (in English), which contains quite some interpreting errors (most of them are unintentional I think) then I proceeded to their Vietnamese translations (which are really bad, lots of linguistic mistakes), but again another reflections of reflections. 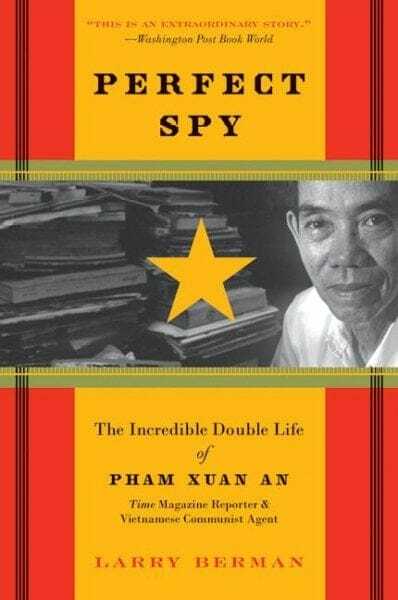 All readings confirmed my understanding about the Vietnamese legendary intelligence agent Phạm Xuân Ẩn, whose role is now recognized as crucially decisive in the second IndoChina war. As the first IndoChina war was approaching its end, the Việt Minh leaders knew that it’s just a matter of time before the American get their hands in. They had lived and fought with the French long enough that they had extensively well understanding on their enemy, the same is not true for the Americans. 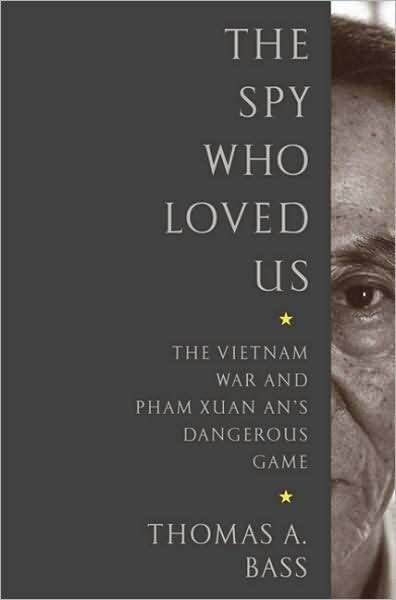 During the 9 years of the first IndoChina war, Ẩn had already worked against the French, under his cousin Phạm Xuân Giai, head of South Vietnam’s Cinquième Bureau – department for psychological warfare, who was working for the French’s Deuxième Bureau. In 1957, Phạm Xuân Ẩn was ordered to go to the States, studying journalism (as a cover), learning their language, culture, their way of thinking… a preparation that later turned out to have devastating effects. During the time in America (and even long before), Ẩn has developed a sympathy (if not admiration) for American people and culture, and at the same time, touting his horns in a war to come against them. 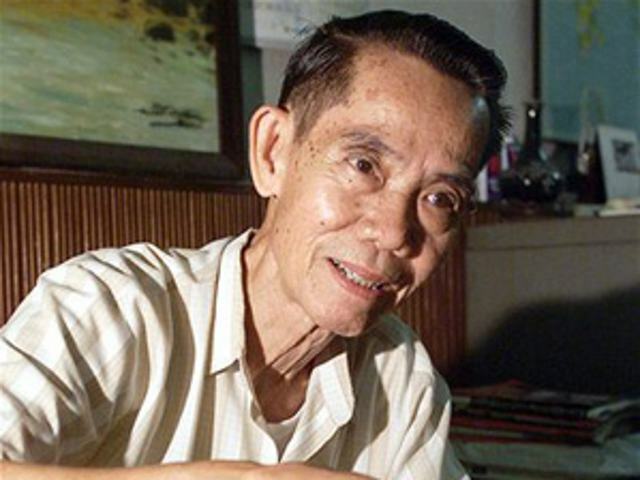 Upon coming back (1959), Ẩn worked for several presses: Việt Tấn Xã, Reuters, Time… Among all journalists in Saigon at the time, Ẩn is considered to be the best informants: new – comers introduced with him for guidances, seasoned ones seeked him for tips. He had various sources in the governments, army officers, secret polices… he had the best ears on the ground for everything. He is dubbed: “the weatherman” who foretell the political atmosphere, generals consulted him before planning coup d’état, the Buddhist monks informed him in advance if they prepare a protestant self – burning. He made very good friend and closed cooperation with Edward Lansdale, head of IndoChina CIA division, the legendary agent nick – named: the king – maker, who manipulated every puppets on the Southern political stage, yet Lansdale had never doubted it. People was thinking he could be a CIA agent, a French sûreté, a South VN secret police, or he could be both. But none ever thought of him working for the Red NLF. After the war, upon learning about the fact, some of his colleagues have tried to prove that Ẩn could had been giving disinformation at times. In fact, all his written records at the Time magazine (where he worked for 10 years) proved the opposite. Had he done it, with all the overwhelming clandestine agents among the presses, things could have easily been cross – checked and that would betray Ẩn, the espionage. And he of course hadn’t made those preliminary mistakes. One thing Ẩn learned in American news career is that: a writing must be well – balanced, not biased in any directions, and at the same time it has to be objective, giving useful information to help coming to some helpful conclusions. Yet the two are usually contradictory. Similarly, questions have been raised about the nature of a man who lived an extremely dangerous double life for 30 years, about the one who deeply admires American culture but fiercefully fights against them. In fact, Ẩn made true friend to many American journalists, help them in many cases, many of whom still love him even after learning that he was a spy. Many would recall how he saved the life of Robert Sam Anson, the war correspondent who was arrested by the VC in Cambodia. Ẩn came closest to getting discovered when he promised to Anson’s wife (who was begging for help) that he would do everything he could, a dangerous remark which implies he really could do something. Anson was later released as per request Ẩn made to his superiors, a truth Anson would only know for sure years later. A pattern in Ẩn’s stories, as usual, as an amusing raconteur: I’m a strategic analyst, I was concentrating on background information and situation assessment . Yet it’s a reason he gives in order not to get into too much details that he wouldn’t want to release even in the next 50 years: that’s related to too many people, many have died, but some still alive with their relatives, there’s no reason to cause harm to them anyway (Ẩn has always been loyal and protective to his information sources, from either sides, many of which is built upon personal relations). But Western researchers found this an “undeniable fact”: he’s been awarded with 16 medals, among which 2 are general (one “Hero of the People’s Army” medal, the highest military award in VN, and another medal for “50 years of Party’s service”), the other 14 are all credited to specific battles, 4 of which is apparently known: the Ấp Bắc battle (1963), the Tết offensive (1968), the Lam Sơn 1972 operation, and the final 1975 campaign. That gives some obvious hints on his role as a tactical adviser who devised detailed tactics to be used in various battles. Nguyễn Văn Tào (nom de guerre: Tư Cang), head of the H.63 spy ring, direct ‘boss’ of Phạm Xuân Ẩn, famous for his ability of pistol shooting with both hands, and never miss a shot. Phạm Xuân Ẩn (nom de guerre: Hai Trung), the strategic analyzer whose information, documents, assessments… greatly changed the pace of war. Nguyễn Văn Thương (nom de guerre: Hai Thương), one of the couriers who run Ẩn’s messages. He was arrested, tortured, both his 2 legs were cut off six times, each without any narcotic. He could had saved his life, but he chose to save the network. This is the point of hatred conflicting among Vietnamese communities for so many years. My point of view, which is also reflected tho – throughly throughout the books (can be seen as 2 American views) is that: the communists, they had an ideologue (no matter right or wrong it could be), and they had determinations. On that basics, they’d had detailed planning and extensive efforts to carry it out, and they’d made sacrifices to carry it out to the end. The same is not true with the so called southerners’ nationalism. As long as the Americans were pumping money in, the Southern government staffs were trying to steal as much as possible, and pretend to be supportive to the Americans’ causes while avoiding fights and casualties on the battle fields. They’d lost, as they presented nothing, not nationalists, not even anti – communists, but only their own personal and family’s interests. The consequence can be seen clearly: the majority of southern people took side, they have always been sympathetic to the Communists’ national independence causes, although they’re not communists. It would eventually become clear why so many people have made extreme efforts and sacrifices, it was not because of any ideology. Of the total 43 members of the H.63 espionage network, 25 were captured, tortured, many of them chose to die, but the network remained unbroken. 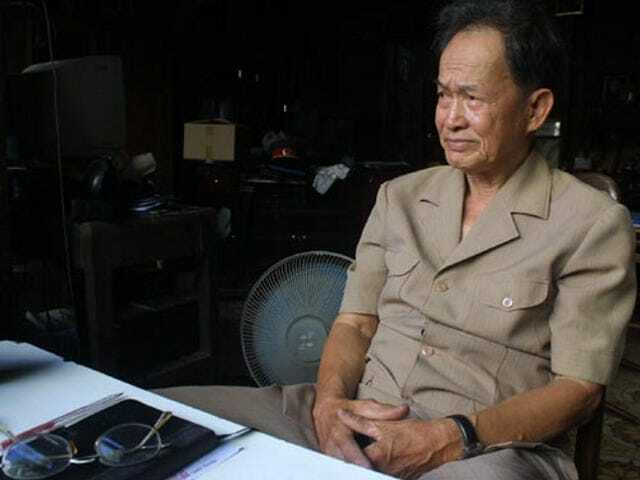 They were couriers, who in 15 continuous years, ran the total 498 messages (reports) from Phạm Xuân Ẩn to the Iron Triangle Củ Chi, from where it would be delivered directly to the Politburo in Hà Nội. Ẩn always kept an poison pill in his pocket, ready for a death that was hanging over him for those 15 years. Many who survived the war found themselves disillusioned with the post – war living, finding that the new regime has become even more corrupted than the previous one, and that is not what they were fighting for. Yet they were fighting not for any individual, any ideology, any government… Many failed to realize it is patriotism in the truest and deepest meaning! 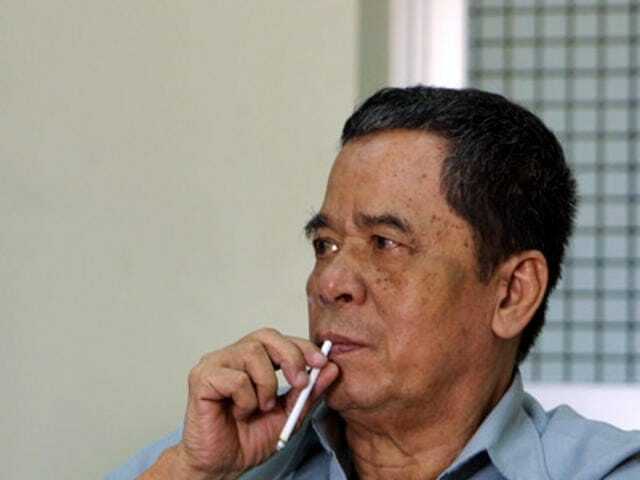 Phạm Xuân Ẩn to the last year of his life, works as an consultant to TC2 (the Vietnamese equivalence of Deuxième Bureau), who doesn’t understand and doesn’t trust him, but badly need his razor – sharp analyses and assessments. If something can be learnt from Phạm Xuân Ẩn’s life, it’s something about cultural understanding. While most VC has very limited knowledge about American culture and values, they’d succeeded in cultivating at least one spy who could think like an American, a spy who loved Americans and was loved by them in return. That way he can get deep into the adversary’s mind and soul, and know the way to defeat them. It’s all about understanding, the French had stayed in Vietnam for a considerable amount of time, they’d learnt to divide and conquer the Vietnamese, a job they’d done excellently. It took a few generations to absorb their culture, to gain enough understanding to have successful retaliations. What the American had done in Vietnam to some extent was repeating things the French had done already, in a far larger scale. Those above are indeed the small part of the lessons. Ẩn said: the American are very good at collecting and analyzing information, but they don’t know what to do with them (at least in scopes of the Vietnam war). Similarly, we can say: the Vietnamese know how to obtain a victory (or it supposes to be called so), but then they don’t know what to do with it. Phạm Xuân Ẩn in person is a talkative one, he can talk about his thinking all day. But as a spy, a strategic analyzer, he is actually a very quite Vietnamese, who had much more profound thoughts and understanding but can’t say it out. Lots of our own problems are briefly reflected throughout the American books, but they’re not recognized tho – throughly by our own people… Things get passed silently in our sleeping – pleasing minds until another war, another revolution that is… just pending.